The members section of the College of Medical Laboratory Technologists of Ontario (CMLTO) website provides material to assist with your development as a medical laboratory technologist (MLT) and regulated health professional. 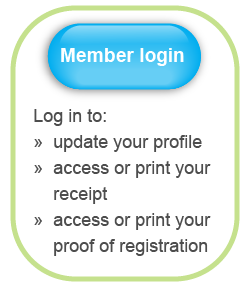 This section includes important information about renewing and maintaining your membership, your professional obligations, professional conduct, standards of practice, and quality practice. Other useful resources include links to CMLTO publications like FOCUS, MLT education programs and learning modules, information about fees, receipts and certificates, notices about job opportunities and an event calendar.